Florida City Movers – For most people the stress of moving is enough to keep them awake at night. Discount South Florida Movers is here to remove that stress and provide you with the reassurance that your belongings are be moved as quickly and safely and painlessly as possible. With over 15 years of experience serving Miami and the surrounding area, we can handle all of your moving needs at a price that is the lowest around. Moving involves many little details. 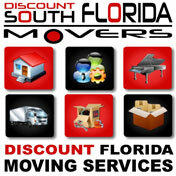 At Discount South Florida Movers our goal is to make the process as painless and stress free as possible. You can rest assured knowing that no matter what your move involves we can help you. No matter if it’s residential or an office, moving down the street or across the state, we have specialists that can assist you. Florida City is the southernmost city in Miami-Dade County. The city is known the abundance of hotels and resorts within its borders along with its historic area. Florida City is the eastern terminus of the only road that goes completely through Everglades National Park, ending in Flamingo. The population of the city as of the most recent census was 11,245. The city sits on top of the Miami Rock Ridge, a large limestone ridge that runs from Miami Beach through the Everglades. This is why the western part of the city was developed first, as the ridge made the eastern part too marshy to develop. The water table has since been lowered and the city has enjoyed explosive growth since. Discount South Florida and Florida City movers provide low rates on residential, commercial, piano and long distance moving.